Nobody wants to say it and be labeled “negative” by other Christians, however the sad truth is that Christians struggle to serve a Father they've never seen nor heard. Yes, “this is a walk of faith and not supposed to be easy.” But still, have you ever felt like we're missing something fundamental given how believers are so confused, divided and lacking in good reputation and good fruit like Jesus and his disciples had (John 10:35)? Your suspicion is easily confirmed if you read up on the first church in Jerusalem under the apostles. Instead of having a reputation for being judgmental, self-righteous hypocrites like Christians too often have, the Jerusalem believers had love, public favor and esteem (Acts 2:46-47; 42-45; John 10:35; Acts 5:13). Frankly, it's a bit depressing when you read those passages and realize how far off the mark the Christian church is today compared to the original. Why such a big difference? It's simple: Jesus trained his disciples in necessary fundamentals which the Jerusalem church learned directly from them (Mt 28:20; Act 2:42). Since we don't have Jesus' trained apostles anymore and the Bible is not exactly in a clear, tutorial format, what do we do? Imagine that if as soon as you became a believer you were handed a workbook teaching you the fundamentals for serving God. Such a workbook would finally answer what God wants of us (and why!) along with other common, big questions all believers can't get good answers to from Christianity. But more importantly it would share wisdom (Lk 1:17) and proven strategies for overcoming your biases, prejudices, and selfish, faithless nature to enable you to finally understand and do what Jesus said to do. Those following the book would experience such spiritual growth that they would literally become like Christ (Jn 10:35; 1Jn 2:6;1Co 11:1; 1Pt 2:21; Eph 5:1-2), just as Jesus' disciples were (John 10:35) and the first church following their teaching was (Acts 2:42). You'd have that peace beyond all understanding (Php 4:7), see your needs always provided for (Mt 6:33) and have joy in all circumstances (Php 4:12) as you finally become kingdom-minded likes Jesus said to be (Mt 6:33). Katrina and I are already experiencing this more every day and so are the people who we coach. This workbook is planned to transmit the same wisdom to all, first to supporters who help us develop it, then later to the public at large. 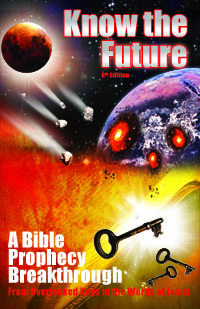 Along with Know the Future, it will serve as the basis for an end time novel teaching the Good News of the Kingdom and these things in an entertainment package to better reach the masses (for free). 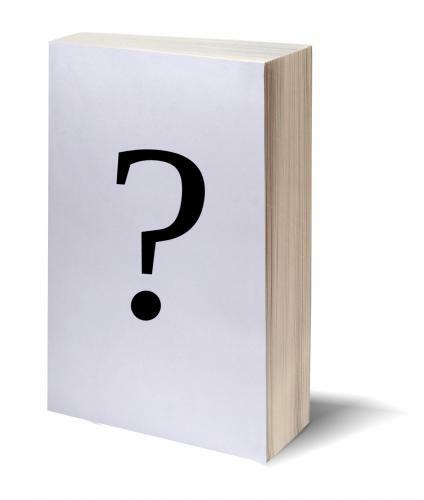 As alluded to in the preface above, this workbook hopes to achieve something unprecedented through giving answers to big questions that Christianity has failed to answer. Having questions explained like "what does God want?" is an obvious foundation for someone wanting to obey and serve their Creator, that has strangely been lacking. Nevertheless, serving God is mainly about a process of continual repentance. Christianity has failed to properly explain the meaning of repentance, let alone train believers in how to repent. Instruction in repentance is far more important than having understanding God better. If you understand who God is and what he wants, but don't know how to do it in real life, you are not likely to bear much fruit let alone become like Jesus. That's why I have decided to put together an outline of the repentance process and share it first below. It's just a draft and certainly rough and incomplete. Yet those who have listened to the supporter podcasts and who are serious about repentance will find it helpful to have some semblance of a roadmap on what to do and what to pray about for yourself. Enjoy the outline and send your feedback so I can improve it. To read the rest of this study and understand how to repent so you never hear Jesus say "depart from me", , please join my support team monthly or even for just one month (no monthly financial commitment required). I appreciate your material support in exchange for helping me to continue to bring forth spiritual support (as Paul taught in 1Co 9:11, 14) for the saints to finally learn God's will and to do it (Lk 8:21=Mt 12:49-50=Mk 3:34-35). If you cannot afford to join the Support Team at this time, I understand. Please enjoy the hundreds of other free studies on this site instead! After reading your workbook description… I have a question. Hope you all don’t get ‘angry’ but “How do you ‘get’ non believers to even consider reading & working thru a ‘workbook’?? I’m asking since my adult children ‘fall’ into that category. I am reading again “Know The Future” which I do “every now & again”. I believe, its approach is providing information to the ‘non believer’ in a very factual way. Every time I read it I continue to learn more from it. Bill, I don’t mind questions like this at all. I welcome dialog on hard issues as this is what brings real progress for us all. The answer is that this workbook is only Phase 2 and is not targeted at unbelievers, or even most believers, but rather for believers like you who are clear that “something is missing” with the whole Christian religious experience. It will answer what God wants and show those who want to do the hard work of overcoming, repenting and learning to love God and love their neighbor as themselves how, with God’s help. Phase 1 was Know the Future, which as you testify brings much of this same truth on what God wants, escaping religion and changing focus to be directly on Yeshua’s actual words. But that was of interest to even a narrower audience, believers with strong interest in understanding prophecy. Phase 3 is for non-believers like your children and a much wider audience of believers. It will be able to accomplish this by packaging the same truths as entertainment, much like Left Behind did with pretrib rapture lies. It will be a (free, at least online) novel and I think eventually a movie teaching the Good News of the Kingdom (Mt 24:14). So be patient and please continue with your faithful support as there is something compelling coming for people like your children. I have also read the 5 C’s and it is so amazingly fully of spot-on wisdom! Your reply to Bill was of interest to me too; as you know, my only child and also my grand children, have laid down their faith and it is a source of constant sadness and unease to me! Knowing that you are working so hard on something that they might find interesting, gives me more hope for the future! God bless your work! I have similar concerns as you with my children. I’m sure everyone who is reading this does. What brings me peace is the fact that when I begin to make progress on learning Gods way of loving Him with my my whole heart and loving my neighbor (including my children) as myself, (becoming more righteous) I’ll be more attractive to them and more likely able to lead them in these areas. Remember, when Elijah comes, his preaching will turn the hearts of children to their fathers. We’re eternally fortunate to be in the position that we are of being able to learn God’s ways ahead of the majority of people who, well…have ever lived, frankly. This reality is mind boggling to me and I cannot begin to express how thankful I am to be on this narrow path. Keep doing the hard work and I believe God will reward you and I believe that means your family members too. What you have shared, Sam, is right on. God loves them way more than you can or do! You can trust The Great, All Loving God with your ‘treasures’ (loved humans). From your limited perspective it looks scary for those you love, and unfortunately you usually cannot keep them from suffering or making poor choices. Matter of fact, you cannot even keep yourselves from those things. You see things from the perspective of ‘in the battle’. Everything looks dangerous and perilous in the middle of the battle of life. God is THE GENERAL that sees both in the middle of the life battle AND above this life battle. His sight is perfect and He is a perfect general. He knows what, where, when, why, and who for every single play in this battle. You could choose to decide to have faith that God is so amazingly loving that He has a plan for your loved ones just as much as He has one for you. You could enter His rest by such faith and show a ‘peace above all understanding’ to all those around you. Then when others see how unruffled you are because you know for sure, by faith, God has got this all lovingly worked out, those people might want that same peace and ASK for the hope that is in you instead of try and defend themselves. Work in having faith in all that I have shared with you here. Let YOU be changed. Let it be that you show by example that His burden is light and His yolk is easy. Don’t stop interceding for them though. That IS your job. Plead the blood for them and continually forgive them yourself, after having done the same for yourself. In your intercession BELIEVE, by faith not proof, that God has heard you and considers what you say. AND He knows what is THE BEST and will only give you and those you love the best. By the way, the best may not look so good from our limited perspective. Do not let that sight deter your faith from believing that everything will be worked out for the best by THE LOVER of all mankind. Could you reach to contain such a huge perspective of your Father, General, Lover of souls?- you know you are doing it when you feel peaceful and hopeful for all, even those who for now look lost. I have just read your answer above, and want to thank you for bringing those truths into perspective for me and others who are worried about non-believing children. After losing my 2 children 18 months apart, I had only my youngest daughter left of 3 children. That’s why my heart broke when she and her husband announced 2 years ago that they don’t believe in God anymore! It was such a shock to me that the unthinkable has happened 🙁 I dedicated her from birth to Him, taught her the faith, etc. Yes, we can only do what you said Katrina: intercede and pray for them constantly and trust that God hears us and will work it out somehow. You are spot-on Tim, about judgmental and self righteous Christians that’s such a put-off to doubting/non believers. That’s why its so crucially important to start with ME. With US to do those 5 “C”s. I will print it off and keep it handy to remind myself daily. I often cry out to God in my sadness and afterwards always experience His peace. Others have commented often over the past years that they experience me as strong and peaceful. That shows me God’s strength and peace is noticed, that I can still shine my light although my heart mourns and grieves for my children, dead and alive. As you always do, you said it perfectly! I compare the trials that I went through as a child to the ones my children go through now. I’m thoroughly convinced because I choose, BY FAITH, to believe everything you have stated that our Heavenly Father loves my children more than I could ever hope to. Although, I have to admit, its no longer JUST faith because there is a good measure of proof that is sprinkled in there in the way that God has brought me through all of my own personal trials and lead to me where I am today. And let me tell you, there was a time in my life when my mother had the same concerns for me, for the way I was living my life as Bill is expressing. I count it a blessing the trials I experienced growing up and I’m not even talking about the experiences I went thorough in my testimony. I’m talking about the ones I went through at the age my children are at right now. I could go into detail but that would take a long time. Maybe a testimony for another day. I have at least this perspective that God truly did work out and is working out everything out in my life for my good. I’m living proof! Yesterday, while my son was getting ready to go home after school, he took his shoes off to put his sweat pants on. He likes to wear shorts so he takes his sweat pants off when he gets to school. Anyway, some kid took one of his shoes and brought it outside, filled it with snow and left it there. My son couldn’t find his shoe and was stuck at school trying to find it, while everyone else had left. One of the teachers eventually found his shoe outside covered in snow. Apparently, he’s been getting picked on by a few kids. Instead of getting upset, I prayed blessings on the kid who took his shoe and my mind went immediately to all of the trials I went through growing up. Realizing that God had turned all of those negative experiences in my life around for my good, and trust me I have had way more difficult things happen to me as a child than someone hiding my shoe. But, I chose to take that approach and I thanked God for the blessing of trials in my son’s life because God is working all things out for his good too. Where normally I’d be upset and fantasize about ringing that kids neck, I found peace in this situation. It’s this peace that will get us through the trials that we endure watching our children live wayward lives, rebelling, experiencing trials of their own and experimenting with the things this world has to offer. God is WAY MORE brokenhearted for our children than we are when they go through these things, but He knows the plan that He has for them, plans to prosper them and give them hope and a future. This applies to all of us. It starts out as faith but God allows you to see proof as your faith grows and you stay diligent in seeking Him and His kingdom. God blessed Abraham for his faith and this extended to his family members – for generations. I believe our faith, our diligence in seeking God will extend to our family members too. Praying for those causing trouble for you and your family….wow. I gotta work on that one. Thanks for sharing Sam. Wanted to let Tims supporters know I have the same problem w/two of my children to which all three had the bible read to them while pregnant, and every night there after. As an older mom of my last two kids, which my middle son is also autistic, we, as older adults, lived in a different world and culture than our children of today. What is different with my children though, is my autistic son understands more than his 26 yr old brother, and he is just 14. He prays on his own now if I’m sick and unable to read to him. The Bible has always been his first choice of any other, even children’s books. But now after introducing all of them to Tims book, they are now coming to see, bit by bit how the world is rapidly deteriorating. And yes, smart phones and the like, are the biggest factors of living in the flesh for the two oldest. But I believe as Tims has said, that our awesome God will have everything and everyone, in the most perfect plan for our lives and Exodus of Babylon. Can’t wait for the new book Tim will have! God bless everyone and all children! A couple of things that I found, distracting, maybe? #1: In the preface you said “Instead of having a reputation for being judgmental, self-righteous hypocrites like Christians, The “LIKE” just seemed judgmental, I was just wondering why you choose that word without adding most or many? #2: for me anyway and my way of processing things I read, its coming of a bit like I am reading instructions on putting something together, A goes to part G and tightened bolt D to peg C …. I hope this isn’t sounding harsh, I really don’t mean it that way! I really appreciate all the both of you are doing and I know its allot of work and very time consuming. I also understand that this is a work in progress and you were wanting feedback. Maybe some examples for us with the less analytical minds? thanks again for all you do! Peace to you both and your sons. UPDATE: Please disregard my previous comment, I have reread this part of the workbook several times since and it is just fine the way it is. Its just me, the way I process things, but I got and get it, and am very pleased and excited, wow what a blessing this is going to be, and so very much needed, thank you both!!!! Tina, thanks for your feedback. I’m excited to see the workbook start out as it is. I’ve changed the wording of the Christian reputation part and added a link to Barna research behind this statement. As for the outline requiring too much thinking at this point, that’s no surprise. It’s just a starting outline and with feedback with become more and more accessible to a wider audience. Hello Tim, I like this. Maybe under Consciousness you can add “gossiping and criticizing”. We tend to unknowingly gossip about and criticize other people during our conversations without realizing it. I am becoming aware of this more and more as I interact with other people during normal conversations and it just happens naturally without you being aware of it. Very bad habit. I am experiencing the same increasing awareness of my state as you are. Next step is the conscious choice to capture every thought and act accordingly. I hope this leads to loving my neighbour as an automatic, not deliberate action. Practice makes perfect I hope! Great outline for the workbook, Tim. I am excited to read the finished product. I know it will be awesome. How dare you leave us hanging! Hah! God bless you, Tim. I can’t wait to hear the rest of the story. I’m thanking God for all the blessings he’s given my life through you and now my children’s ears are pricked, too. I hope there’s a Coco Excursion in the future with you and Katrina speaking…. Then I go read Jonah 3 to see what the people of Nineveh did that God recognized as repentance. Did the exact same thing and read Jonah. It is actually rather bizarre little book. I also think of passages like Matt 11:22 / Luke 10:14 / Matt 10:15. I would love to understand the nature of judgement more. Repentance is thus the continual seeking of mercy and strength to change from the Sovereign who desires to order our lives and protect us! Correct me if I am wrong, but I think some of our fear for our unsaved/non-believer friends stems from a misunderstanding that the Kingdom of God is the same for eternal life. The verses dealing with each are vastly different. It took me a while to know the difference. Churches teach they are one and the same. The Kingsom of God is the Millennial kingdom. Those who inherit it are those who believe, obey and persevere till the end of the tribulation. Our reward is to reign with Christ. For one to gain eternal life they have to believe in Jesus. This is where all the other resurrections and second chances come into play. Everyone will be given a chance to see and believe. Read 1 Corinthians 15:20-28 to see a distinction between the kingdom and Christ giving the kingdom back to God the Father. Elizabeth, if salvation required “believing in Jesus” as Christianity says then everyone before 30AD would be lost. The Biblical requirement is much simpler as Jesus stated it (Mt 19:17-19) or Hebrews 11:6. Therefore, receiving eternal life indeed is the same as entering the kingdom of God and both come from the same requirement of faith that God is good to the point that you act on his Word in good works. Faith without works is dead, which is evident if you look at what Christians have faith in and the reputation that results from their works or lack thereof. What I mean by believe is not the watered down belief promoted by Christianity by the way. Let me use a friend of mine as an example. My friend believes the Bible is a fairy tale probably because of how it was taught to her. However, she strongly believes in treating others with love and respect. But it’s conditional – only those who treat her nicely. She is against the Lord now because of how she perceives Christianity. When she is resurrected she will still need to swallow her pride and accept Jesus as Lord regardless of the good deeds she did during her life. This is why I say it is both. Tim, could you please make the sections of this book available as a single download (such as a .pdf) to make it practical for readers to get it without having to download a bunch of separate html files? That way, we could put it on our tablets, e-book readers or phones and have it everywhere we read. Thanks! Bill C.
Tim: a clarification of my comment of a few minutes ago: I just realized this is already a single html file and that the separate links to chapters just direct one to the proper section of the single document. Saving that from the browser gives either the text only, without pictures, or the whole web page with pictures, both of which are hard to view from the saved file on Android devices that mainly use apps that reproduce either text files or pdfs. For this article, a pdf would be needed because I am sure there will be many illustrations accompanying the text that can’t be part of a text file. I have never used an Apple device, so I don’t know how one reads textual material on those, but it’s likely there’s a similar concern for them too. Thanks for considering my suggestion! Kindest Regards, Bill C.
•••• on Why Jesus Can’t Come Back in 2019—or Even Before 2030! (At Least)So how do you feel about Israel police saying about the sacrifice on Temple Mount next year?